Young cheddar is a mild cheese we all know and love. It’s as familiar to us as baseball and apple pie. In fact, some people even like to top their apple pie with a slice of it while watching the Brewers game. Younger cheeses are typically milder cheeses with higher moisture and that certainly rings true here. 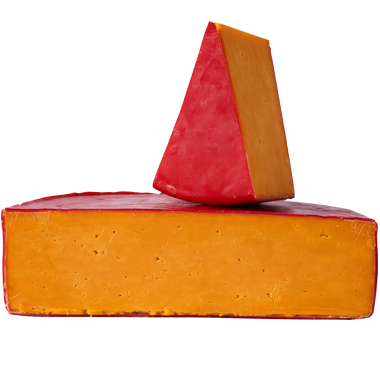 Creamy and pleasantly sweet, young cheddar is always friendly and approachable. You can take it to any party and know that you don’t have to stand by its side all night. It’s sure to make fast friends and probably won’t need a ride home. You want to eat most young cheddars within two weeks of purchase. They’ll last longer than that but just won’t be as tasty. We love how uncomplicated and simple this cheese is in general, and how easy it is in the kitchen. It slices and grates well, melts without a hitch and requires no special handling. You really can’t go wrong when pairing this one, but we tend toward beer and cider. We like a frosty pint of American pale lager, IPA and pilsner with young cheddar. Wine is great too and we recommend chardonnay, pinot gris, rosé and merlot. Always a picnic pleaser, young cheddar goes with just about everything. Slice it, grate it, melt it, this is definitely a cheese no one will shy away from. We love making cheese spreads with it, young cheddar grilled cheese sandwiches with thinly sliced, vine-ripened tomatoes and, of course, it’s never met a nacho recipe it couldn’t master.